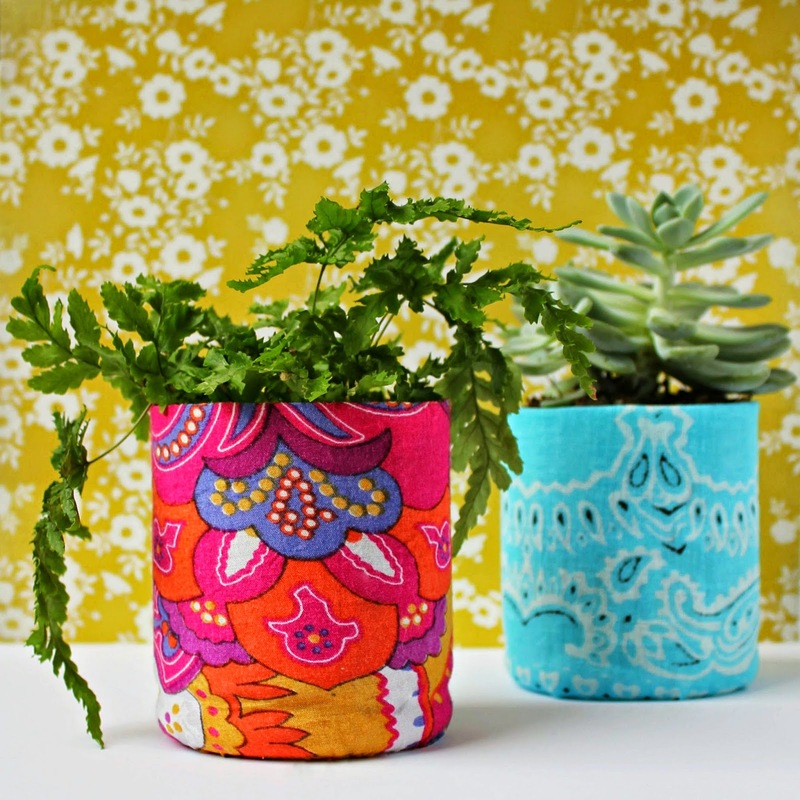 How-to upcycle a plastic bottle into a fabric covered plant pot. A plastic bottle. One that is wide enough at the bottom for your plant to go in and has a smooth surface. Enough fabric to cover your pot (thin or medium weight fabrics work best). I used some fabric from a previous upcycling project and a bandana. Glue (I used Modge Podge which is basically 50% pva glue and 50% water). A paint brush or sponge. 1. 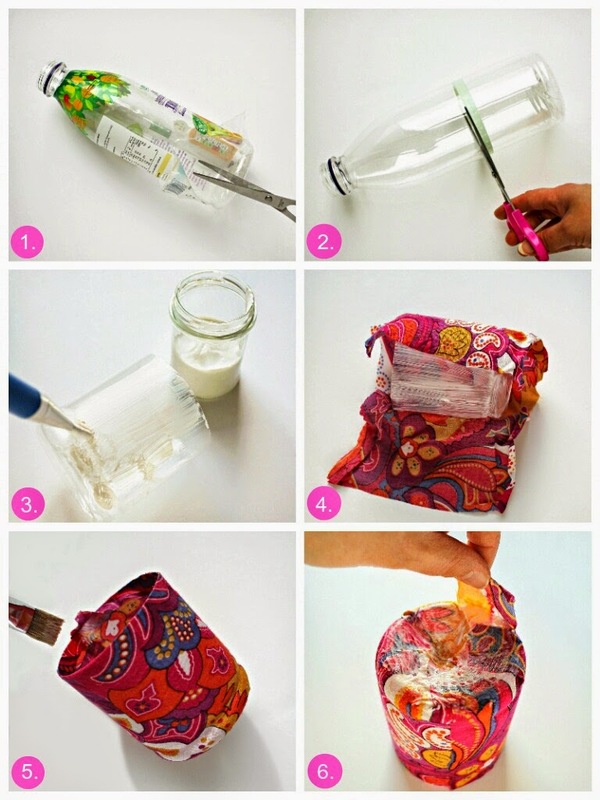 Start off with preparing your plastic bottle. Wash, dry and remove any labeling. 2. Measure from the bottom up how tall you want your pot to be (using the size of the plants original pot as a guide). Then mark around the bottle with pen or with washi tape where you will need to cut. Cut around the markings on the bottle. You should be left with the bottom part of the bottle which can now be used as a pot. Measure your fabric and cut out, making sure you have enough to fold over the top (approx 1-2 cm's) and cover the bottom. 3. Apply glue to the outside of the pot. 4. Cover the pot with the fabric, smoothing it over as you go. 5. Glue down the top edge. 6. Then glue down the fabric to the bottom of the pot. Depending on the type of finish you want you can either leave it as it is now or if you would like a shiner finish apply a coat of modge podge to the outside. 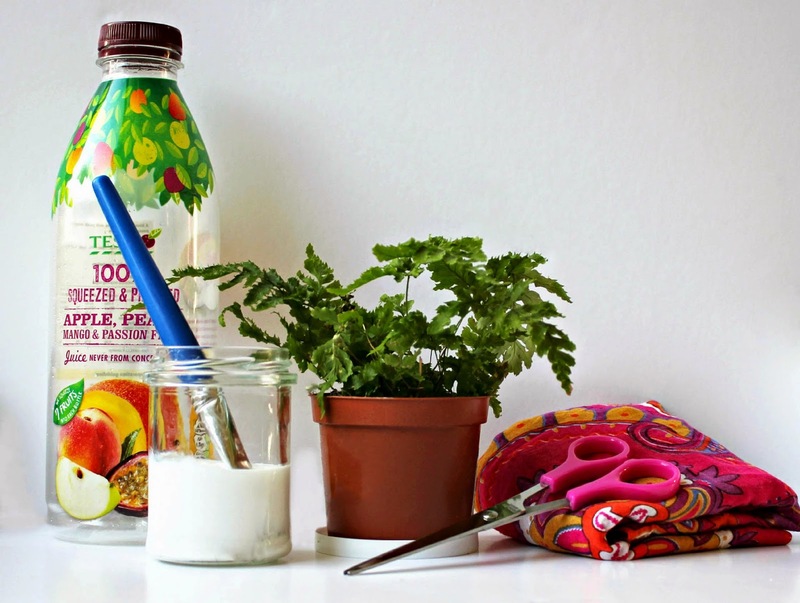 That is how you make a plant pot from just a plastic bottle and some fabric. Hope you enjoyed this DIY, I would love to hear your thoughts about it in the comments below. I love your tutorial Hannah. I've used decoupage papers on glass bottles before. I'm going to rummage through my fabric stash to keep myself busy over the Easter hols. Hello, welcome to the craft blog Thoughtful Types. Expect to find crafty makes, how-to's and some mail art to. Thanks so much for stopping by. Hello, welcome to the craft blog Rose Tinted Crafting. Expect to find crafty makes, how-to's and some mail art to. Thanks so much for stopping by. Copyright © Rose Tinted Crafting. 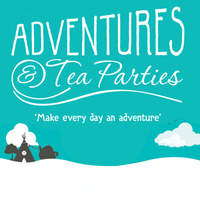 All wording and photographs used on this site are, unless otherwise stated, the blog owners own. Unauthorized use or duplication of this material without express and written permission from the site’s owner is strictly prohibited. Excerpts and links may be used, provided that full and clear credit is given to the Rose Tinted Crafting blog with appropriate and specific direction to the original content. Want to makeover your notice board? I am going to show you 3 different ways. Visit Rose Tinted Crafting's profile on Pinterest. Rose Tinted Crafting. Powered by Blogger. Rose Tinted Crafting © 2013.